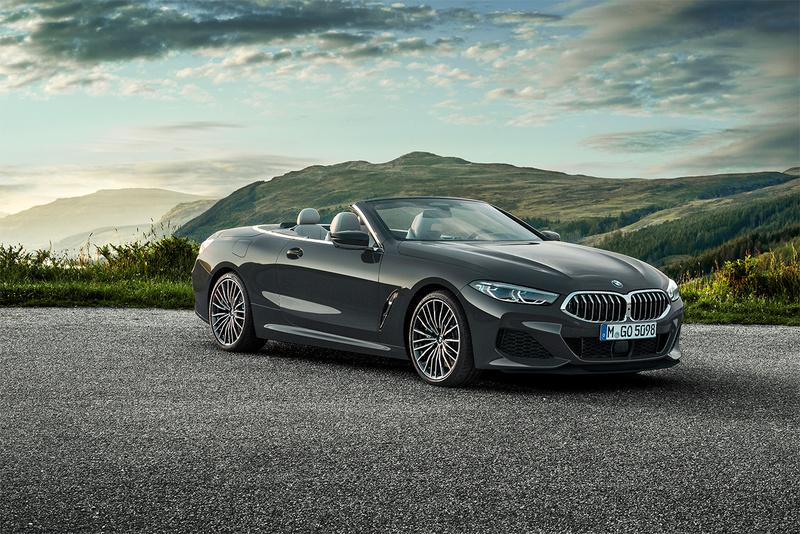 The all-new four-passenger BMW 8 series convertible will be coming to showrooms near you in 2019. 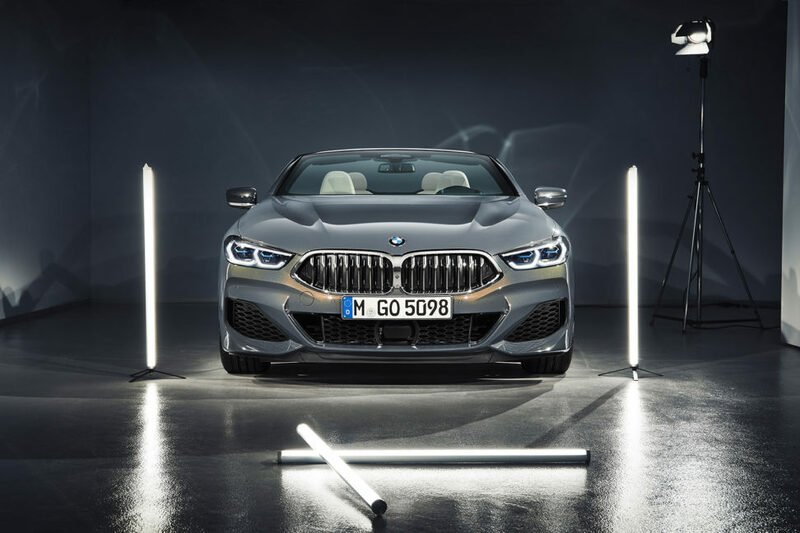 One of the most performance oriented and practice models in the lineup will be the M850i xDrive. 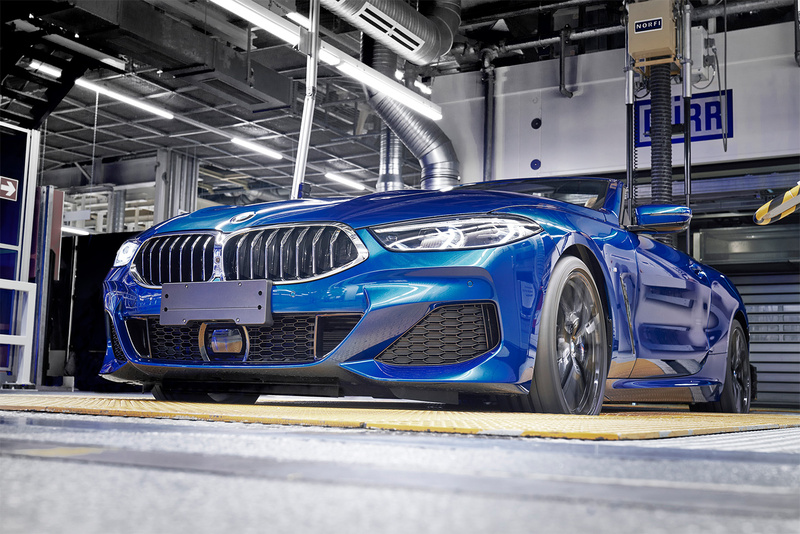 With all-wheel drive and a 523 hp 4.4 litre TwinPower turbocharged V8, the M850i will be able to launch all four passengers from 0-100 km/h in just 3.9 seconds. 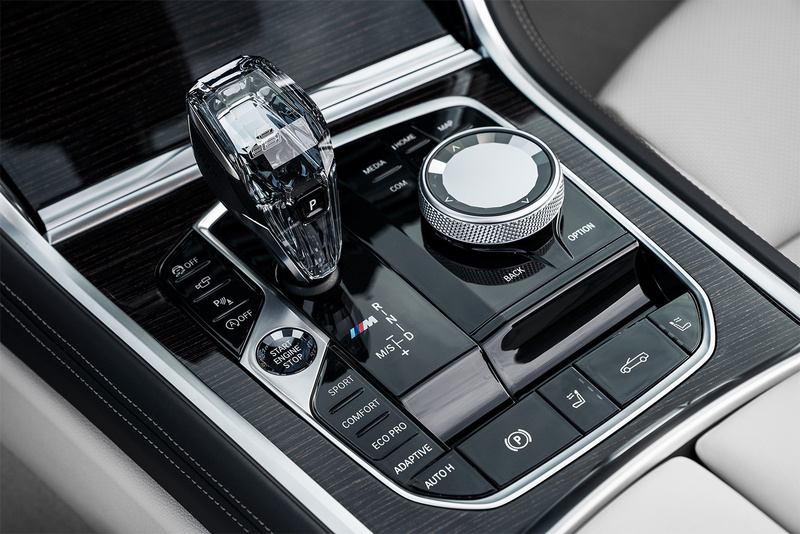 Power is sent to all four wheels via the latest-generation eight-speed Steptronic Sport transmission. 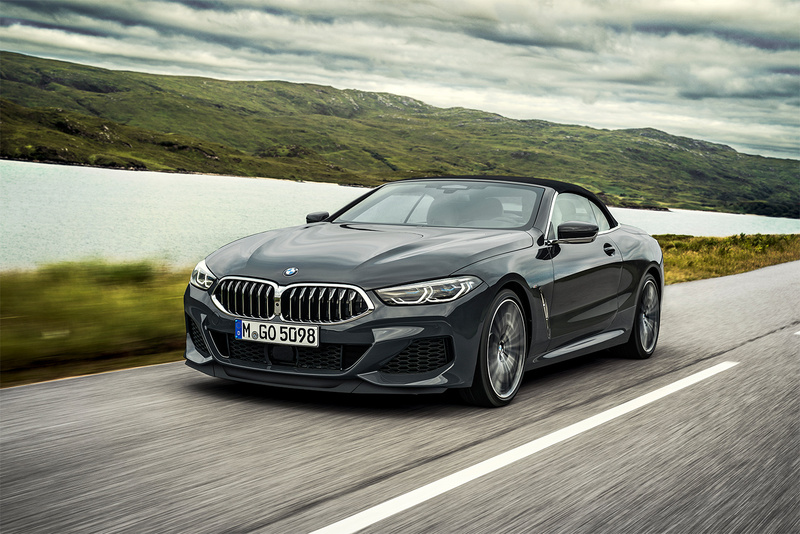 The M850i will make its Canadian market launch in March 2019 with an MSRP of $131,500. 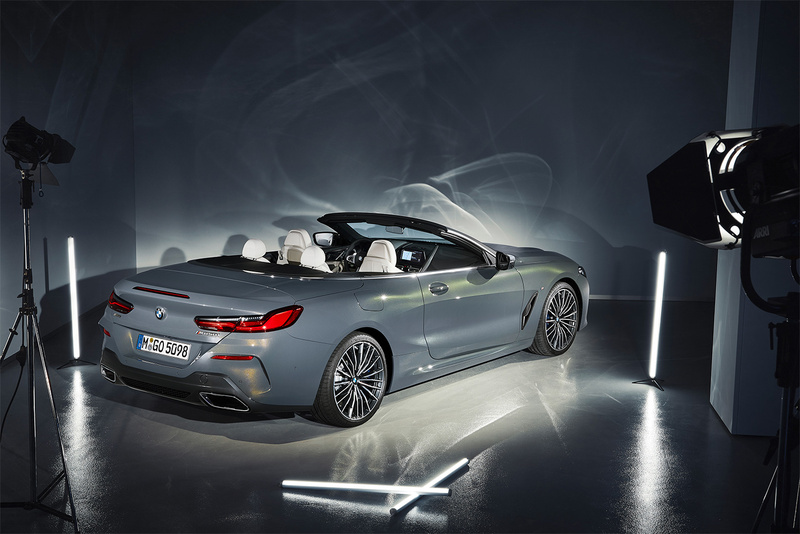 The 8 series convertible has a fully-electric soft-top, which incorporates multiple layers of fabric materials to insulate its occupants from outside noise and elements and help reduce weight from the very top of the vehicle, thus lowering the centre of gravity and improving handling and performance. The roof can be raised or lowered in fifteen seconds at speeds up to fifty km/h. Optional front seat neck warmers are available. 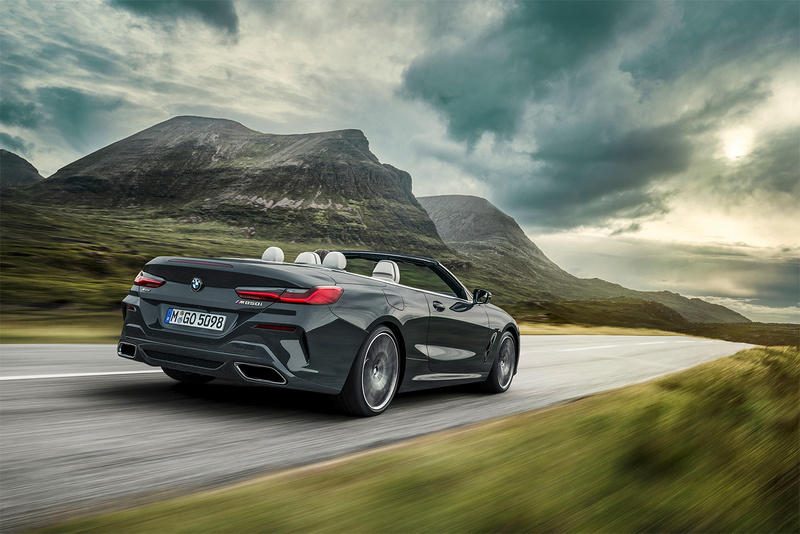 The 8 series cabriolet has a standard, automatically activated rollover protection system. The system activates the moment that data analysed by the central safety electronics indicate a risk of roll-over. Two high-strength aluminum rollover bars, fitted behind the rear headrests, extend by a pyrotechnic charge in a fraction of a second to form a survival space for the vehicle occupants in conjunction with the extremely rigid a-pillar windshield surround. 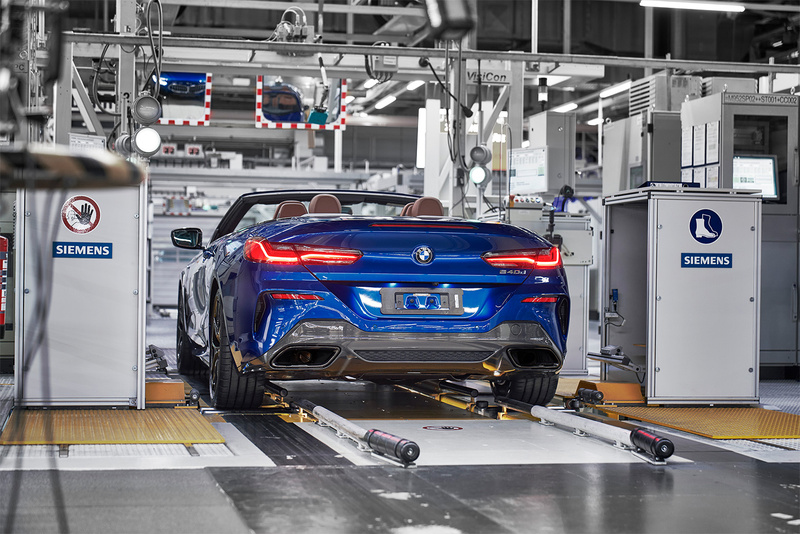 The 8 series cabriolet has an almost fully covered underbody, active air flap control with adjustable kidney grille slats and Air Curtains including Air Breathers help to reduce the aerodynamic drag. Narrow exterior mirror bases, mounted directly on the side window weather strips help smooth the airflow. The optional M Carbon Exterior Package consists of air intake bars, exterior mirror caps, and a rear diffuser insert, all made from CFRP. The interior has been designed to help the driver focus on the road. 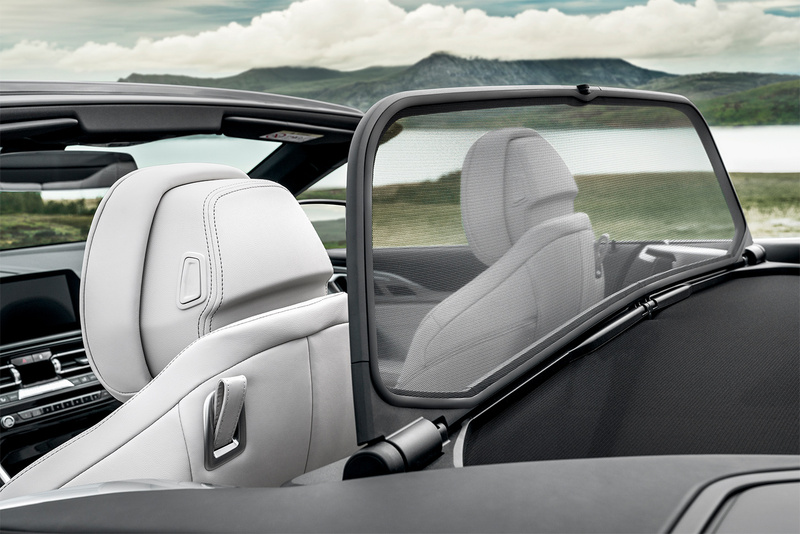 The car’s wide centre console rises up towards the instrument panel at the front, separating the driver and front passenger areas. This centre space encompasses the audio control unit and its function buttons, the air conditioning control panel and air vents as well as the freestanding and frameless Control Display, all arranged above each other in a clear, horizontally partitioned structure. 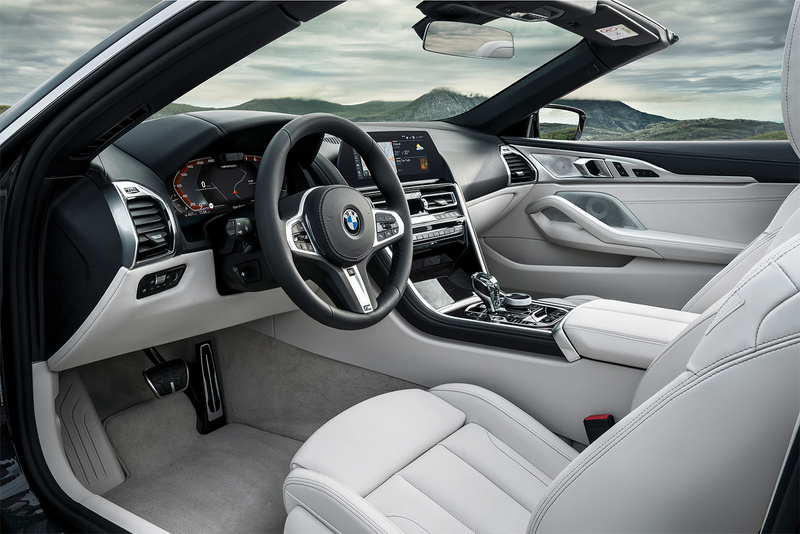 A leather M Sport steering wheel with multifunction buttons and paddle shifters is standard. Newly developed sports seats offer high levels of long-distance comfort and lateral support. The standard Harman Kardon audio system has twelve speakers and a digital amplifier. The optional Bowers & Wilkins Diamond Surround Sound System has an output of 1,375 watts. The new V8 engine, which generates 553 lb-ft of torque from 1,800 to 4,600 rpm, serves up its performance soundtrack which is enhanced by the standard flap-controlled sports exhaust system. The Driving Experience Control switch can be used to activate both extremely sporty and distinctly comfort-oriented powertrain settings. In the SPORT and SPORT+ modes, accelerator response as well as the V8 engine’s power delivery and acoustics are all configured for an exhilarating driving experience. 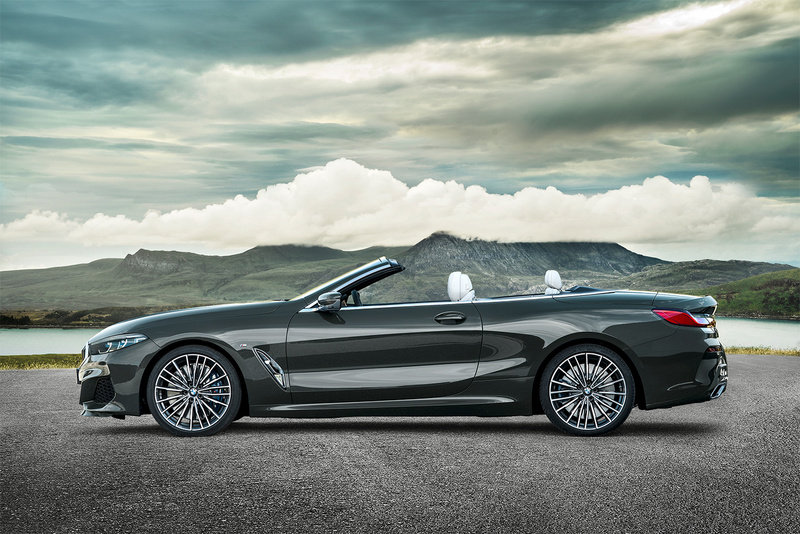 To bring the 8 series to a stop, four-piston, fixed-calliper brakes at the front and single-piston, floating-calliper brakes at the rear. Inner-vented brake discs and model-specific brake pads are featured both at the front and rear. Directional cooling air ducts help to reduce temperatures. 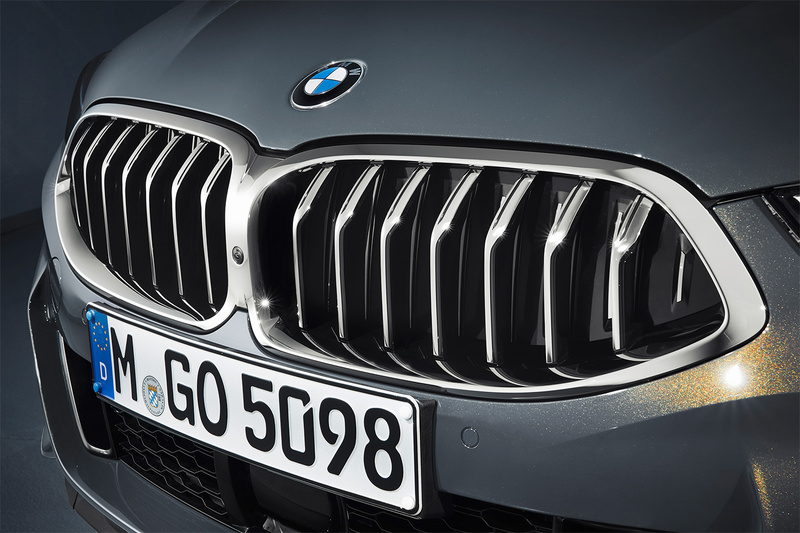 The M Sport braking system is recognizable by the blue callipers featuring the M logo. All of that power and torque is put to the pavement using 20-inch M light-alloy wheels. The cast aluminum wheels are standard and come in the exclusive colour Frozen Cerium Grey metallic with a high-gloss polished finish on the face. They are fitted with 245/35 R20 tires at the front and 275/30 R20 tires at the rear. 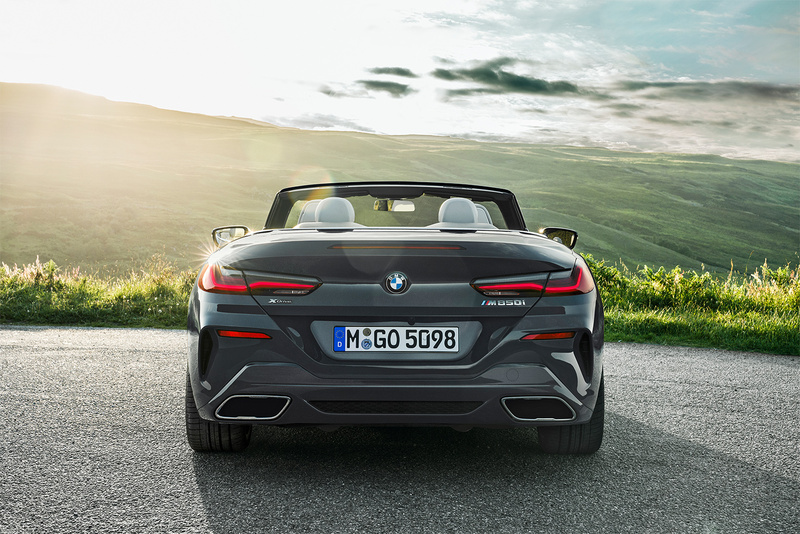 The high-performance tires were developed by the manufacturer specifically for the first-ever BMW 8 Series Cabriolet. A wide variety of standard and optionally available driver assistance systems are available. The driver assistance systems process camera images as well as the data gathered by ultrasonic and radar sensors to monitor the vehicle’s surroundings, to warn of potential hazards and to minimise the risk of an accident with corrective braking or steering inputs. 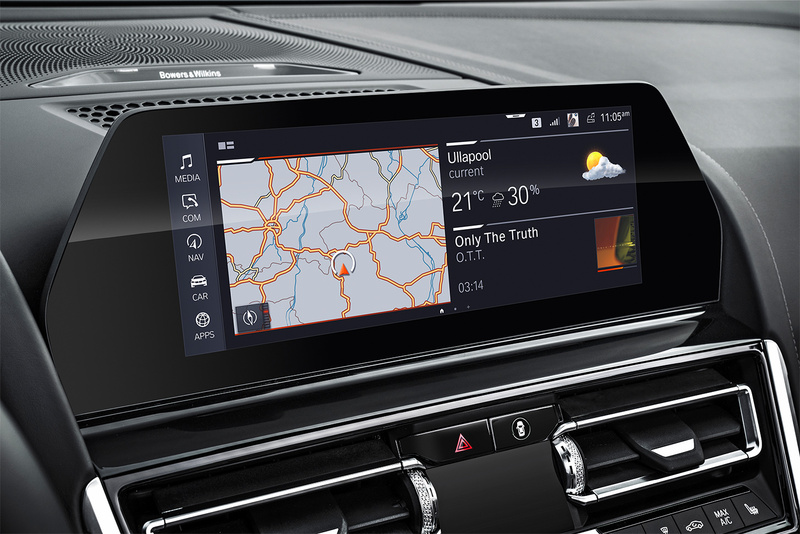 These integral features of the BMW Personal Co‑Pilot represent the latest advances on the road to automated driving. It I also equipped with standard Collision and Pedestrian Warning with City Braking function, the latest version of which alerts the driver when a cyclist is detected. The optional Driving Assistant Professional offers Active Cruise Control which can be used at speeds of up to 210 km/h, useful for autobahn driving in Germany and at much lower speeds in North America.